A plant-based diet is all about making your body slim, healthy and strong. As it requires a complete change and evolution of your diet plan, the benefits are far more beneficial and constructive. By making a few necessary changes, you will start to feel energetic and fresh throughout the day. For people who are suffering from cholesterol issues and chronic diseases, a plant-based diet can surely improve their health conditions. Once you are properly following a plant-based diet, your stomach and immune system perform well along with increased resistance to infections and other problems. 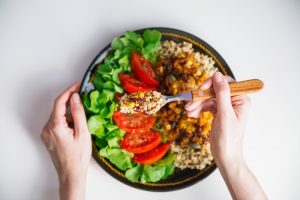 Although it is difficult to convert your routine eating style from meat directly over to a plant-based diet, there are some simple methods which can be followed with ease. There are many delicious types of meals and salads which can be prepared out of fresh vegetables and leafy greens. Furthermore, the benefits are not just limited to a better health condition, and your body starts to lose excess fat and reduce weight as well. 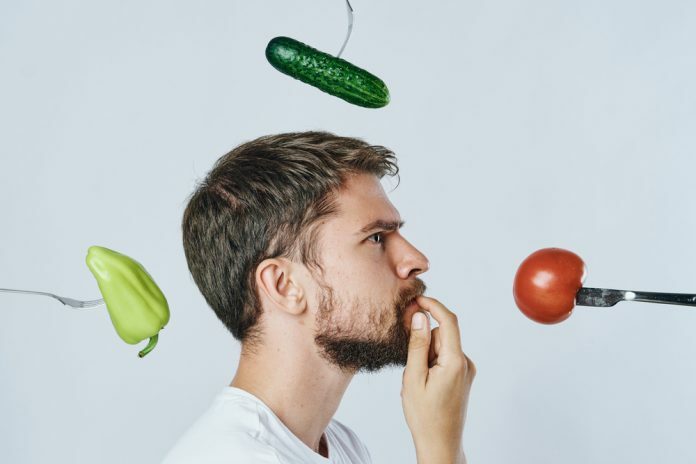 So, if you are excited about starting a plant-based diet, we hope this article will bring helpful tips and methods to be followed in the routine. Starting a plant-based diet absolutely does not mean you cannot eat animal products or meat anytime. Mostly, people are in search of a natural diet which can help in maintaining a balance between lifestyle and body structure. There are some important aspects which need to be focused on obtaining significant health improvements. Since meat and processed food is all comprised of fat and artificial sugar, your body tends to develop a high craving for such items in routine. Depending upon your personality and motivation, changes in diet plan can bring a great transformation in your physique and body structure. With better digestion, properly functioning immune system and improved health perspectives, plant-based diet has unlimited other benefits to offer. Most importantly, a diet comprised of fruits and vegetables can automatically keep blood pressure at an optimum level along with balanced cholesterol. According to the latest medical researches, plant-based diet can also reduce fat intake and minimize the chances of chronic diseases. People who are suffering from increased blood sugar level can avail maximum benefit by starting a plant-based diet as it balances cortisol levels in your bloodstream as well. Other benefits include a lower rate of cancer and instant weight loss which is beneficial for people who are having excess fat inside their body. A plant-based diet can also improve blood lipid levels which greatly reduce the chances of inflammatory and heart diseases. If you are a real meat enthusiast and find it impossible to start a plant-based diet, a lot of time and efforts will be required to overcome the great change. At first, limit the intake of meat and processed foods as they contain high amounts of artificial sugar and fat. As your appetite and food cravings are a result of chemical additives, fructose, and other fatty substances, it is surely not an easy task to start a plant-based diet for a meat lover. A proper vegan is not supposed to eat any animal products including meat, milk, eggs, and dairy for which processed foods and refrigerated items need to be avoided. With a number of different plants and vegetables to select from, you can prepare delicious meals on your own. By gradually adding leafy greens and plant-based food in your diet, you can make your immune system stronger and more effective. It is important that you make sure the diet you are eating is diversified and balanced for prolonged use. Healthy Plant-based diet is full of phytochemicals and compounds which can keep your body’s system smooth and healthy. 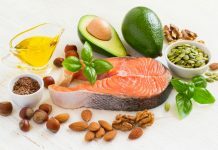 Eating plan based on grains, nuts, vegetables and a small amount of meat can also lead to better brain health and increased activeness among adults. As we have discussed some useful methods to start a plant-based diet, designing your eating plan comprised of essential nutrients and vitamins can deliver amazing results. By preparing different meals for breakfast, lunch, snack, and dinner, you can manage your routine without any hassle. For people who are not satisfied with leafy greens and plants available at the market, they can start gardening at home to ensure long term health perks. A healthy plant-based diet can be designed out of leafy greens such as Kale, Spinach, Swiss Chard, Watercress, Romaine, Butter Lettuce and Arugula. By following some basic gardening techniques, you can grow fresh and healthy vegetables on your own to avail best nutrition. 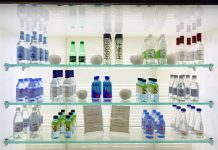 As it would be absolutely free of chemicals and pests, there are higher chances of rapid weight loss and prevention against health problems as well. So, if you are determined to gain the best health benefits out of a plant-based diet, gardening for your own vegetables can deliver amazing results. If you are not able to figure out the best items to start your plant-based diet, there is another great way to solve this issue. As there are several online communities to consult from, you can also avail guidance from nutritionists and medical experts. There are different ways to transfer over to a healthy plant-based diet for which some initial research can prove to be of great support. Moreover, helpful tips from your friends and family members can also make it easier to pick out the best vegetables and plant-based foods. Make sure the diet you have selected is comprised of leafy green vegetables, seeds, nuts, and fruits. As they feature an adequate amount of protein and vitamins, preferring a low carb plant based diet can prove to be of best benefit. While planning your plant-based diet do not forget to study about vitamins and nutrients to avoid any imbalance in your body and immune system. Following a natural diet plan certainly does not mean you cannot eat meat or animal products. Just prepare a perfect diet chart and consider meals which can help you in achieving your desired health goals. A plant-based diet has scientifically proven to cure chronic diseases along with excess weight reduction and other health benefits. As it is quite a complex to reduce your appetite for meat-based foods, there are some easy tips and methods which can be followed to start with a plant-based diet. We have discussed the best tips and techniques which have proven to give satisfactory results for everyone. By studying different medical researches, we have found that people who have high blood pressure and increasing sugar levels can control the issues by starting a healthy plant-based diet. As it reduces cholesterol, cuts of excess fat and keeps you active throughout the day, and there are several other health problems which can be controlled by eating a natural diet. 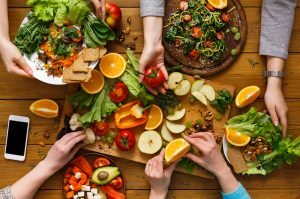 So, if you are excited about starting a plant-based diet, we hope this article will deliver the best help and support by all means.